The Black's Law Dictionary(i) defines justiciability as the quality or state of being appropriate or suitable for adjudication by a court. Thus, a matter is justiciable if it is capable of being disposed of judicially. According to Date-Bah JSC(ii), an issue is justiciable if it is capable of being settled by a court. The issue of whether the directive principles of state policy laid out under chapter 6 of Ghana's 1992 Constitution are justiciable is one of the contentious matters that have rocked Ghana's legal fraternity over the years. 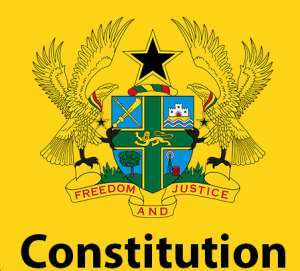 Since the inception of the 1992 Constitution on 7th January 1993, Ghana's apex court has been presented with the opportunity on a number of occasions to comprehensively resolve the issue above. In this article, I seek to highlight and scrutinize the solutions the Supreme Court has offered in this regard. The first case to place under the spotlight is the case of New Patriotic Party v Attorney-General (31st December Case)(iii).In this famous case, the New Patriotic Party (NPP) brought an action under article 2(1) of the 1992 Constitution against the Attorney-General for a declaration that the public celebration of the coup d'état of 31st December 1981 out of public funds was inconsistent with or in contravention of the letter and spirit of the Constitution, 1992 particularly articles 3(3)-(7), 35(1) and 41(f) and an order compelling the government to cancel the preparations for the celebration and refrain from carrying out the celebration with public funds. In his defence on the other hand, the defendant submitted inter alia, that the Directive Principles of State Policy contained in chapter 6 of the Constitution, 1992 were not justiciable and therefore articles 35 and 41 which were part of the principles could not ground a cause of action. One of the issues the Supreme Court had to resolve therefore was whether or not the Directive Principles of State Policy contained in the 1992 Constitution were justiciable. In a 5-4 majority decision, the Supreme Court held that Chapter 6 of the Constitution was justiciable. One of the very profound aspects of the ratio decidendi that served as the premise for the Court's decision was handed down by Adade JSC. His Lordship also took cognizance of the fact that the Committee of Statutory Experts appointed in 1991 by the PNDC to make proposals for a draft Constitution did say at p 49, para 95 of their report that: "By tradition Directive Principles are not justiciable”. According to him, the Committee did not indicate what that tradition was, hence in his view, the above statement made by the Committee could, unintentionally, be misleading. It can be observed from the holding in the CIBA case that the Supreme Court relied on article 34(1) and the report of the drafters of the Constitution to render Chapter 6 of the Constitution primarily non-justiciable. The use of the phrase “shall guide” in article 34(1) seems to have convinced the Supreme Court in the CIBA case that the provisions contained in Chapter 6 of the Constitution were more of a plethora of goals or objectives for governmental programmes and a guide to judicial interpretation rather than provisions which were of and by themselves legally enforceable by the courts. The drafters' report, in which the drafters claimed that by tradition, the Directive Principles are not justiciable also contributed to the Supreme Court's decision to hand down the unenforceability tag on Chapter 6 of the Constitution in the CIBA case. These are grounds that were vehemently rejected by the majority in the 31st Dec case. As indicated earlier, Adade JSC described as weak and unimpressive, the argument that the use of “shall guide” in article 34(1) of the Constitution was to be construed to mean that the Directive Principles are only for our guidance and thus, unenforceable. He was of the view that after all, all laws are for our guidance, but they are not on that account, non-justiciable. He also dismissed the drafters' claim that the purported unenforceability of the Directive Principles was a matter of tradition. In the CIBA case, the Supreme Court however established that notwithstanding the purported unenforceability of Chapter 6, provisions in the chapter could be enforced where if read in conjunction with other enforceable provisions of the Constitution as in the case of article 37(2)(a) and (3) with article 21(e) in respect of the right to freedom of association, by reason of the fact that the courts were mandated to apply them in their interpretative duty, they were justiciable. The apex court basically subscribed to the position that they would only treat a directive principle of state policy as enforceable provided it can be said to create a legal right when read in conjunction with other enforceable provisions of the constitution, notably chapter 5 of the Constitution. Per this view, the Directive Principles could not be enforced in isolation. They ought to pass an enforceability test with recourse to chapter 5 or other 'enforceable' chapters of the Constitution. This test was to be conducted through conjunctive constructions. This appears to be a departure from the Supreme Court's reasoning in the 31st Dec case. The omission of this language in the final version of the Constitution convinced Date-Bah JSC to treat the Committee's Report as impotent for the purposes of using it as grounds to argue that Chapter 6 of the 1992 Constitution was non-justiciable. Date-Bah JSC was also inspired by the highly celebrated words of Sowah JSC, as he then was, in Tuffuor v Attorney-General (1980) GLR 637 which provides support for the liberal approach to constitutional interpretation in this jurisdiction. Date-Bah JSC intimated that interpreting the Constitution as a living organism implies that sometimes there may be a departure from the subjective intention of the framers of it. The objective purpose of the Constitution may require an interpretation different from that of the original framers of it. He however added that there may be particular provisions in Chapter 6 which do not lend themselves to enforcement by a court. Owing to this view, His Lordship submitted that the most appropriate means of approaching Chapter 6 was by way of what he termed the presumption of justiciability. According to Date – Bah JSC, this presumption is a rebuttable presumption and can thus be rebutted where a particular provision under Chapter 6 of the Constitution does not possess the nature of enforceability. I have managed to identify 3 decided cases of Ghana's Supreme Court where the issue of the justiciability of the Directive Principles was substantially discussed. Upon a scrutiny of the decisions made by the court in these cases above, I must submit that I am convinced to associate myself with the position that the Directive Principles of State Policy contained in Chapter 6 of the Constitution are absolutely justiciable in and by themselves. The directive principles contained in Chapter 6 of the Constitution are very essential for the acceleration of our growth as a country. We cannot enshrine such vital provisions in the Constitution and render them unenforceable or quasi-enforceable. They do not need to pass any enforceability test by having recourse to Chapter 5 or other chapters of the Constitution as established in the CIBA case. The provisions in chapter 6 are sufficiently in any by themselves justiciable. Recently, the Supreme Court in the case of James Kwabena Bomfeh Jnr v AG (Unreported) gave an indication that they will enforce the Directive Principles when they held that the government's involvement in the construction of the National Cathedral and the setting up of the Hajj Board was in tune with the political and social objectives as set out in the Directive Principles of State Policy under the provisions of articles 35 and 37 of the 1992 Constitution. Admittedly, the Directive Principles such as articles 35 and 37 may largely bear some similarity with chapter 5 of the Constitution but this should not suggest that the directive principles must as a sine qua non be proven to be compatible with chapter 5 or other chapters before they can be enforced. Taking a careful view at article 39 (one of the articles in chapter 6) for instance, the intendment behind the provision can be said to be a preservation of our culture and heritage as a people. I do not see how this provision can be linked with any of the provisions under chapter 5 to create a legal right. Is it the contention that we cannot enforce the state's constitutional duty to preserve our culture because of the apparent lack of compatibility with provisions in other chapters? The 'Drafters' Report basis' which has been used by some luminaries to treat the directive principles as unenforceable was dismantled by Adade JSC and Date-Bah JSC in the 31st Dec case and Lotto case respectively. The fact that the proposal made by the Committee with respect to the enforceability of chapter 6 was not accepted by the Consultative Assembly constitutes sufficient grounds to disregard the framers' proposal as a basis for treating the directive principles as non-justiciable. Also, even if the framers' report was an expression of their subjective intention underlying chapter 6, it has been held that interpreting the Constitution as a living organism implies that sometimes there may be a departure from the subjective intention of the framers of it. The objective purpose of the Constitution may require an interpretation different from that of the original framers of it. Further, in my view, the use of the phrase 'shall guide' in article 34(1) should not be a convincing reason to treat chapter 6 as just a set of provisions for our guidance and not actually enforceable. As Adade JSC posited in his dicta quoted above, all laws inherently serve the purpose of guidance so are we to treat all laws unenforceable because they are to guide us? Obviously not! I also struggle to find Date-Bah JSC's presumption of justiciability as the most convincing and appropriate to be used as a precedent. As elaborated above, even though he held that the directive principles were enforceable, Date-Bah JSC stated that the justiciability of chapter 6 must be a matter of presumption which can be rebutted where a provision under the chapter is of a nature which does not make it enforceable. Unfortunately, His Lordship did not list those principles which he thinks are not by nature enforceable. I have thoroughly conducted a view of all the provisions contained in chapter 6 of the Constitution. Upon a completion of this exercise, I must submit that all the provisions in the chapter are enforceable in and by themselves. All the provisions, from articles 34 – 41 of the 1992 Constitution impose duties on the state and citizens which are very necessary to drive our socioeconomic and political growth as a nation. They are all of a nature which is enforceable. Professor H.L.A. Hart would describe them as duty imposing rules. Their enforcement must therefore not be subject to the dictates of a rebuttable presumption. They must be obeyed and actually accepted by all and sundry as pillars of our democratic dispensation. Facilitating its obedience is the ability to enforce them by our courts. I believe the anticipation of efforts by citizens to enforce the directive principles formed part of the rationale behind the provision in article 88(5) of the Constitution which makes the Attorney General a defendant in all civil actions instituted against the State. Bringing an action against the State for an act of commission or omission which contravenes any of the provisions contained in chapter 6 of the Constitution forms part of the civil actions contemplated under article 88(5) for which the Attorney General is to serve as the defendant. Another argument which has been advanced is that the enforcement of the Directive Principles by the Supreme Court would be offensive to the doctrine of political question which is inherent in the parent doctrine of Separation of Powers. This argument is unimpressive in my view. This is because, an enforcement of these provisions falls within the purview of the mandate which has been textually committed to the Supreme Court by the combined effect of articles 2(1) and 130(1) of the 1992 Constitution. In the event of any enactment, an act of commission or omission of a person which contravenes any of the provisions contained in chapter 6 of the Constitution, the Supreme Court must be able to fully exercise their mandate without any fear or favour, unless otherwise the Constitution has provided another avenue for determination. This is a mandate which cannot be undermined - it must be exercised in the spirit of checks and balances. Making such enforcements will therefore not in any way be an encroachment unto the territory of any other organ of the state. From the foregoing, it is my humble submission that all the provisions contained in chapter 6 of the 1992 Constitution are absolutely enforceable in and by themselves. We cannot enshrine such essential provisions in our Constitution and treat them like some provisions which are just serving an ornamental purpose in the Constitution. They should neither be considered as quasi-enforceable nor reduced to a set of articles which are only guiding us or only being employed as internal aids to interpretation of other provisions in the Constitution. (i) Black's Law Dictionary (9th ed. 2009), available at Westlaw, p 943. (ii) See Ghana Lotto Operators Association & Ors v NLA (2007-2008) SCGLR 1088. (iii) (1993-94) 2 GLR 35. (iv) (1993-94) 2 GLR at p 66. (v) (1993-94) 2 GLR at pp 67 – 68. (vii) (1996-97) SCGLR pp 745-747.